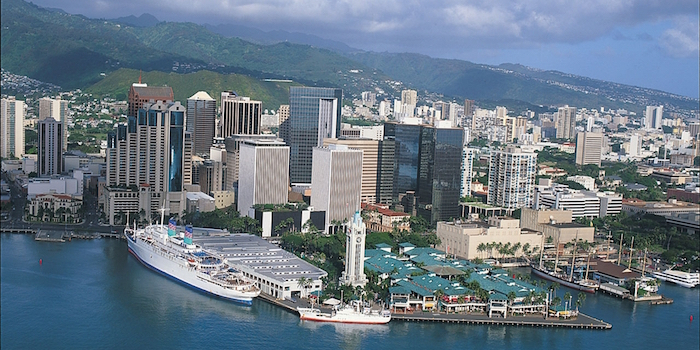 Although there is no requirement to spend time on the physical campus, online MBA candidates may wish to make an excuse for a field trip to the beautiful Honolulu location. This degree can be completed completely online and at an accelerated pace. Lesley Thorne, Assistant Director of MBA programs, was kind enough to share more details on the online MBA experience at Hawai'i Pacific University. Describe the typical student who enrolls in the online MBA program at Hawai'i Pacific University? The typical student is a working professional located locally to Hawaii, nationally, and internationally. This student usually prefers to take courses one at a time in an accelerated format. How much time (if any) do you require students to visit the physical campus? At the current time, there is no residency requirement. Tell me about an academic highlight or area of concentration that your online MBA program is known for. The online MBA creates a diverse classroom to promote the College’s mission of creating profession-ready global leaders. Our students exemplify what it is to participate in a truly multi-cultural classroom. The online modality not only allows for flexibility with students’ work and personal schedules, but provides ample opportunity for students from diverse professional and cultural backgrounds to come together and participate in class discussions with multiple perspectives. What is the ratio of student to faculty/instructor? I do not have answer for you at this time. Capstone courses often run smaller than core courses and electives, but because some courses may be utilized or be requirements for other College of Business graduate programs, this ratio varies significantly from course to course. What is the preferred means of communication between online MBA students and faculty? Currently faculty and students utilize an online platform called Blackboard to communicate through email and hold asynchronous online discussions. What kind of opportunities do you offer for online MBA students to interact with or network with other students? The HPU MBA Club hosts semester events and offers complementary membership to the Hawaii Chamber of Commerce Young Professionals Organization, which provides networking and social activities to HPU MBA students at a discounted rate. Additionally, our faculty coordinate and participate in academic conferences in local and International locations, and always extend conference invitations along with social events and workshops to current students and alumni across the globe. These external events are in addition to the various opportunities for students to interact within the classroom setting. Do you offer career services or other professional support for those seeking an online MBA? HPU’s Career Services Center is available for all students whether in traditional classroom programs or online formats. What kind of post-graduate support is there for alumni of the program? HPU has an active alumni database, and continually does outreach to graduates around the world, offering “Regional Connection Points” for alumni to continue their education, network with other students, faculty, and members of academia and industry as well as with fellow alumni. Any advice for potential students pursuing an online MBA from Hawai'i Pacific University? Take your time, pursue your MBA at a pace that is appropriate for you and allows you to receive the most benefit possible. The finish line is always in sight, but while balancing life’s many priorities, stop and concentrate on the fantastic educational opportunity that lies in front of you. Absorb all the relevant knowledge and experiences available to you from faculty and your classmates. Digest the material, apply the concepts, focus your efforts, and you will retain the knowledge and skills learned to apply in real-life situations that lay ahead. Receive the highest Return on Investment (ROI) you can from your educational experience, and succeed at becoming a profession-ready, global leader.